Hats, headbands, berets, turbans; the world of headwear has lots to offer. It can be tricky to find out which style works best for you. For many years, I resolved not wearing hats at all, but after continuing to try items on (and going through a circle of trial and error) I found pieces that I really like. After wearing strapless and sleeveless tops all summer long, going back to sleeves should be fun. We need some motivation to accept the ending of warm days! This fall treat yourself with fun sleeves: fur sleeves, cut-out sleeves, sleeves made out of pleated/crinkled fabrics, take your pick. 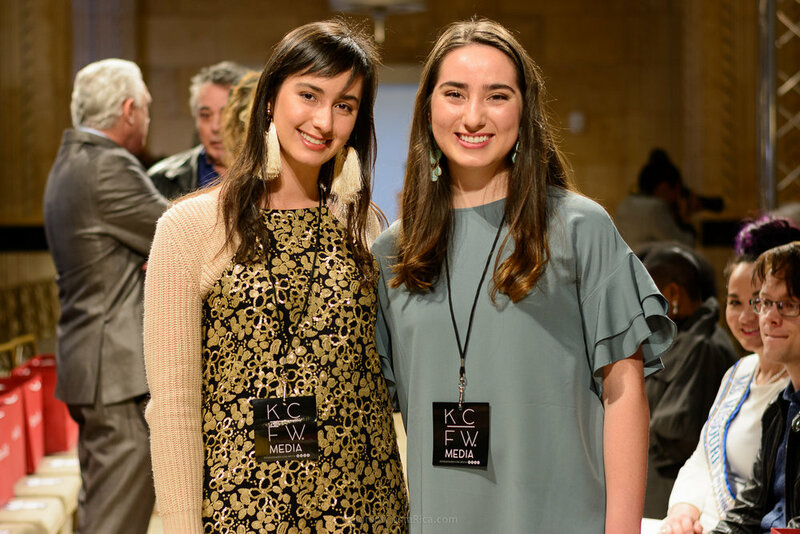 A night forest-like color palette dominated KCFW. Black, olive green, camel and gray were used extensively. The combination of darker shades of blue with cool neon tones was also used, and it is a promising combination to keep your fall wardrobe fresh. Stars, flames, black leather, you know the drill. Listen to some of your favorite rock songs and find inspiration to put together an adventurous look. I would absolutely use the white dress with black stars for a date night. The use of natural fibers and fabrics that are barely processed is gaining terrain in the fashion world. Ethical and sustainable fashion brands focus on using organic and recycled materials, reducing the use of dyes, and avoiding processes that involve excessive use of water. An accessory is like a dessert; it is the meal’s (or outfit’s) final touch. Fall is the perfect time to show off your favorite statement accessories, whether it is a bag, big earrings or a gorgeous necklace. Animal prints and florals are classic, they seem to always be there; however, there are still ingenious ways to wear them. Designer Tobie Marie hand-crafted the petals on her designs. Other techniques include mixing colors and textures. The diamond-quilted technique always strikes me as a perfect combination of tradition and contemporary fashion. The beautiful coats shown on KCFW are a wonderful example of the technique, which was also been used on Burberry coats and Chanel bags.